A trip to Florianópolis isn’t complete without sampling the nightlife. There are options throughout the island with bars and beach clubs to suit all tastes. The beach clubs are concentrated in the north of the island, while the Centro and Lagoa da Conceição areas offer bars and clubs with varied music styles. Discover the hottest nightlife spots in Florianópolis with our guide. This popular beach club is best enjoyed during the summer when the pools are open all afternoon and guests can hang out until the evening concert. 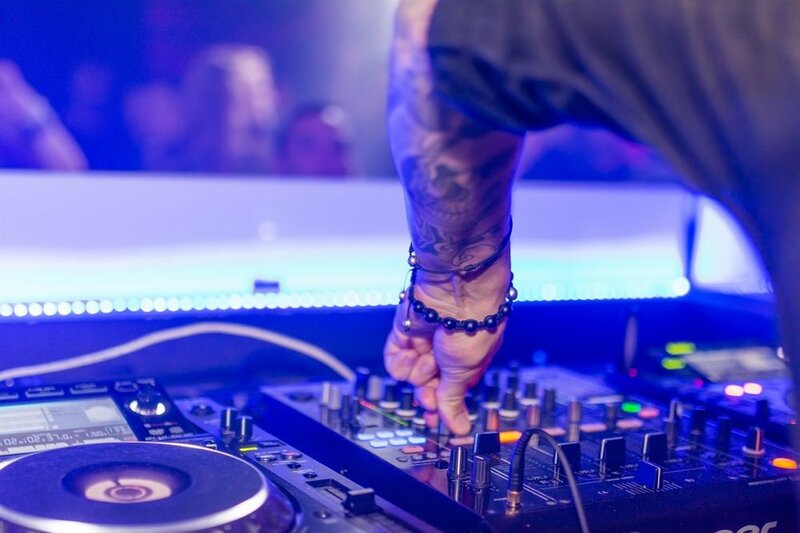 The club has hosted some of the most well known visiting performers to the island, including David Guetta and Jason Mraz, and is one of the more elegant options on the island for a night out. Another well known club at the northern end of the island, Milk claims to have hosted the greatest number of VIPs, models and celebrities last summer. The interior design is modern luxury, with a clean but bold palette of black and white. They host concerts year round but this club is sure to be a hotspot for upcoming Carnival celebrations. A staple in the Floripa nightlife scene and celebrating 11 years of the best-planned parties, Cafe de la Musique is one not to miss. Inspired by European seaside resorts of Cannes, Capri and Monte Carlo, Cafe de la Musique is the place to be for jet-setters and international party fans. Their biggest events happen during New Year’s and Carnival, so it’s best to buy tickets well in advance for these special parties. Expect to find a range of music at the venue and always a sophisticated crowd that knows how to have a good time. Outside the pub guests will see both the Brazilian and British flags flying, a nod to one of the owner’s English roots. This pub hosts a range of nightlife activities from game night (including the NFL and NCAA basketball games), to jazz music and rock bands. You’re guaranteed a great night at a cozy pub, and this is probably one of the few places in all Brazil that has Guinness beer on tap. Located on Avenida das Rendeiras in Lagoa, John Bull Pub is immediately recognizable by the giant guitar that stretches the height of the building. It’s a great place to catch music acts from many genres: country, rock, MBP (Brazilian Popular Music), and more. The relaxed atmosphere means you can wear jeans and flip flops and still be right at home. The top of the Majestic Palace Hotel is home to The Roof nightclub, and is located in the city center of Florianópolis, boasting a fantastic bay view. Open since 2013, The Roof has become a nightlife hotspot for Floripa, with luxury decor inspired by rooftop spaces at the best international hotels. Touted as a see and be seen club, the lighting, sound, entertainment and beverages combine for an enticing atmosphere all night long. A departure from the music scene in Jurerê, Fields is a venue dedicated to Brazilian sertanejo, a country-like sound. The venue is impressive and has some of the bigger names in sertanejo on stage. This place is regularly packed with the concerts held year round. Fields is a great option for those looking to experience an important part of the Brazilian music culture.